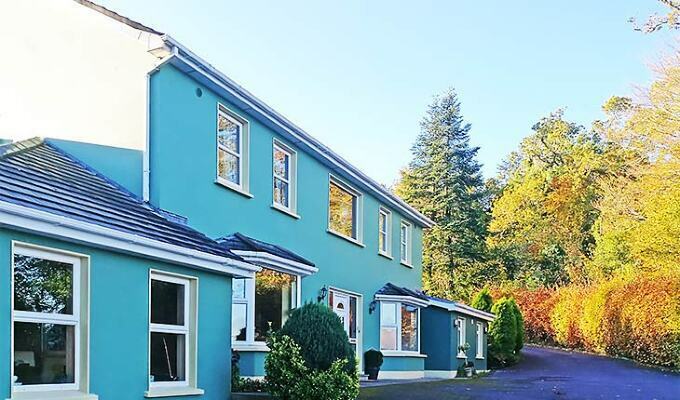 Watersedge is a purpose built B&B nestled in the Sheen Falls woods and is just 10 min walk along the waterfront to Kenmare Town. 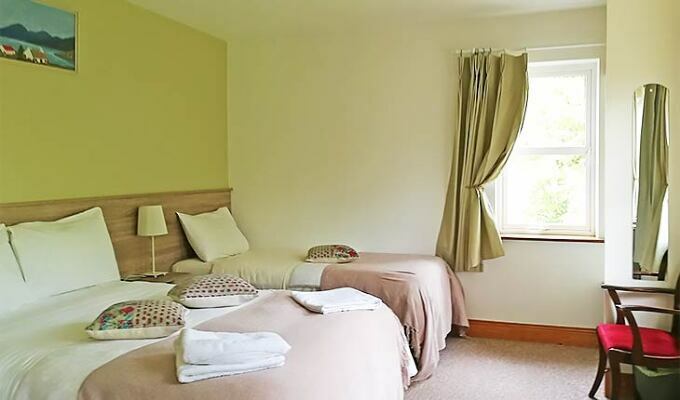 Our bedrooms are finished to a very high standard. 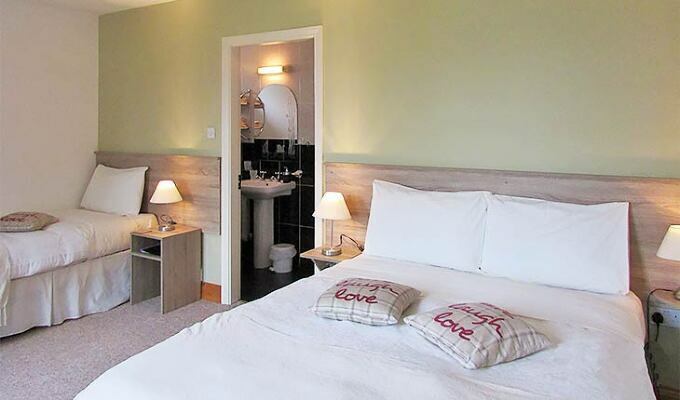 All our rooms are ensuite with power showers, hair dryers, flat screen television and DVD. 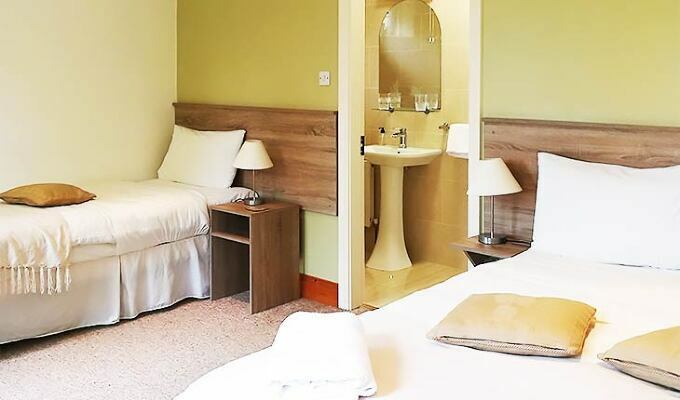 The beds are fully orthopaedic and floors contain hollow core concrete sound proofing. There is hot tea / coffee and biscuits available all day in our guest dining room which overlooks the harbour. We have an extensive library with books, local maps and a large selection of DVDs. We also have cards, chess and other board games to enjoy. Our garden deck is a great place to relax with a good book and a coffee. Please make our home your home. Breakfast time is special at Watersedge, we have a large breakfast menu to suit all tastes and needs including home baked scones and bread, our own smoked salmon, locally made cheese and of course the traditional hot breakfast. A typical guest review. 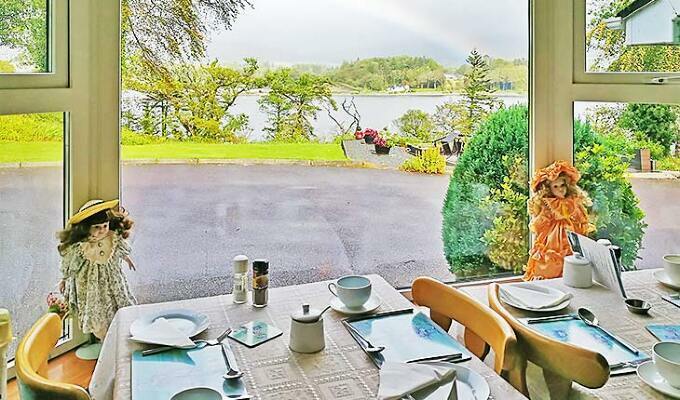 "If you want to stay in a B&B that provides tasty food, helpful hosts and boasts an excellent location, Waters Edge in Kenmare is the place for you. 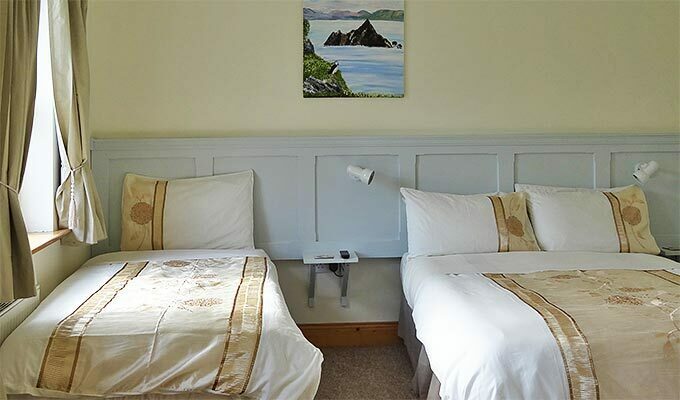 We receive a stream of excellent feedback from our walkers who hike the Beara Way and who stay here, telling us how kind and friendly Noreen is and how hearty the food is. 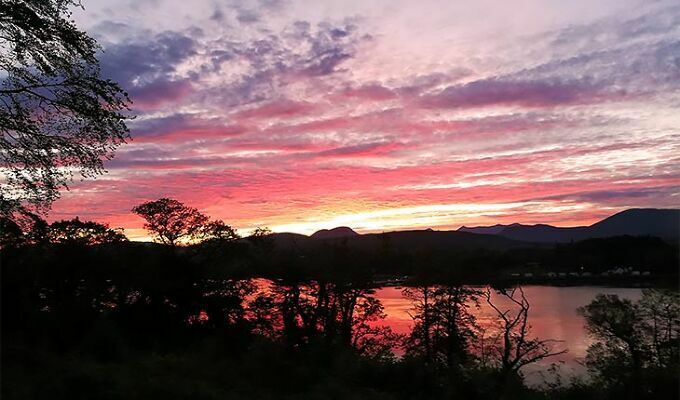 We have no hesitation in recommending that you stay at Waters Edge in Kenmare." Directions to Watersedge: In Kenmare turn left at the post-office and continue out the N71 heading for Bantry. After crossing the suspension bridge over Kenmare Bay, we are up the 2nd lane to the right about 50m after the bridge. We stayed at Watersedge Sept 18 & 19, 2018 and thoroughly enjoyed our time there in spite of the crazy hurricane-like weather one of the nights which was "nothing" according to Noreen! The view of the water was spectacular and the room was spacious, modern, comfortable and clean. Breakfasts were delicious and Noreen offered lots of advice on how to pass the time in the neighborhood. 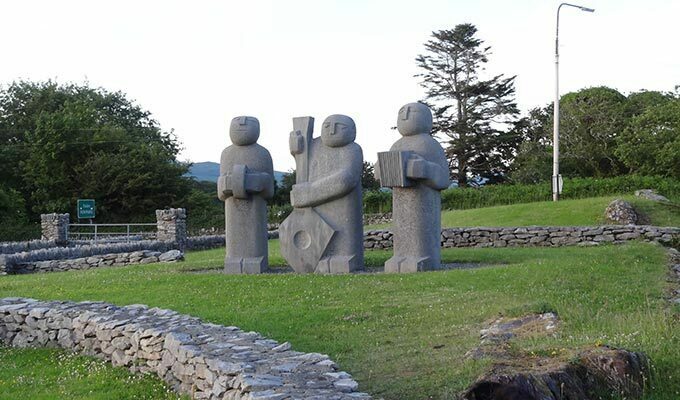 We loved that the BnB is off the beaten track and therefore nice and quiet but close enough to walk to the village of Kenmare for the requisite pints of Guiness and Irish music. If we are ever back, we'll definitely stay again. Thanks Noreen for a wonderful 2 days. 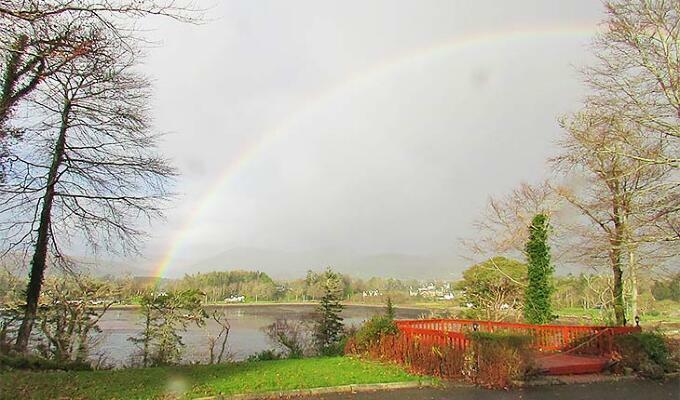 My wife and I traveled a week in Scotland Edinburgh, Glasgow, Oban and a week in Ireland Dublin and Dingle, and our stop in Kenmare at Watersedge was by far the best B&B/Guest house we stayed out. It's location is idyllic, the accommodations are excellent, and the host is wonderful and attentive. 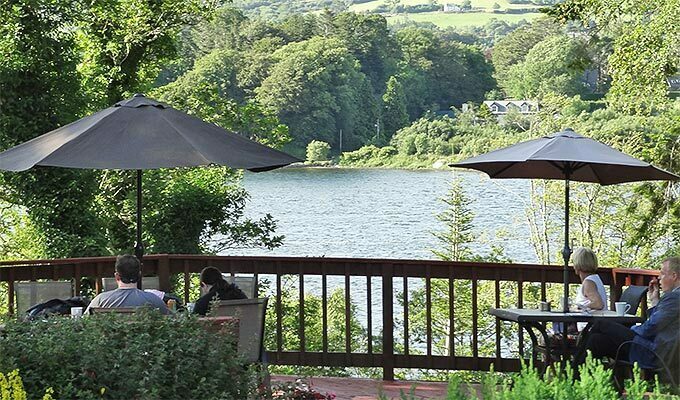 The view from the outside patio is majestic as you look over the bay to Kenmare itself. Town is an easy walk, or an even easier drive. This is the other thing we liked - it's close to town but right in town. Nice to have a quiet spot for the evening away from the summer crowds. Our only regret is that we stayed only one night on our way to the west coast of Ireland. We would highly recommend Watersedge as THE place to stay when you are in this area!!! We really enjoyed our stay at watersedge, the breakfasts were perfect, the room was very nice, and the view is wonderful. Noreen was so sweet and helpful. 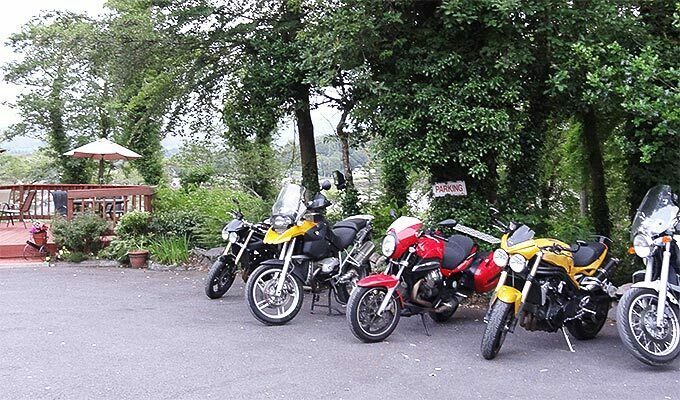 We would gladly stay again, and recommend to anyone looking to visit the peninsulas, or just enjoy some time in Kenmare.